This year's lineup of acts is one of the most diverse to date, including a number of international artists—a calculated approach on the part of DCASE to showcase "Chicago’s status as a welcoming city." Highlights of the concert series include Grammy-winning jazz singer Gregory Porter, Norwegian jazz fusion act Jaga Jazzist, Colombian singer Totó La Momposina, alt-country band Drive-By Truckers and Mali guitar and vocal duo Amadou & Mariam. 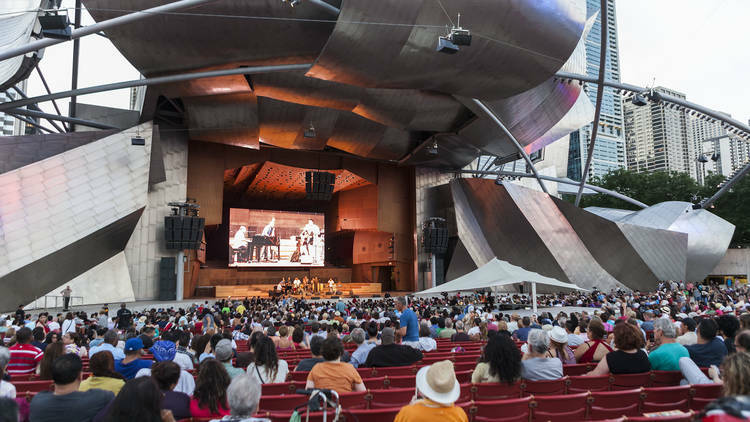 Take a look at the full Millennium Park Summer Music Series lineup below and look forward to late evenings on the Pritzker Pavilion lawn with friends, drinks and free music.